Coming up with the perfect real estate offer, while not impossible, is a lot more complicated than many new investors anticipate. At the very least, landing on the right price point is only a fraction of the entire process. 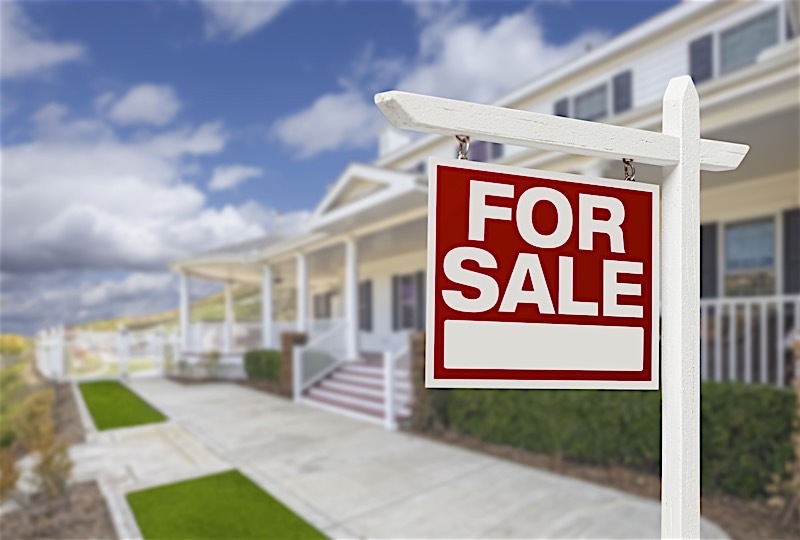 There are several things you must address for your purchase offer to even receive consideration from a respective seller. That’s not to say making an offer is difficult; it’s quite the contrary. With the right education and a little due diligence on your behalf, formulating a real estate offer that everyone is willing to accept is relatively easy. Continue reading if you want to know what else it takes to make a real estate offer that everyone will be happy with. Outside of the relationships you forge as a real estate investor, nothing has more of an impact on the way you do business than capital. Money makes the world go round, and investors rely on it to make a living. However, few actually use their own money to acquire investment properties; they borrow from private money lenders to avoid tying up all of their capital in one single investment. That way, they are free to enlist the aid of a lender whenever an opportunity arises. However, in receiving money from another source you are inherently subjected to their terms. The amount of money you are able to receive is entirely dependent on what they are willing to give you. You must, therefore, have all the details fleshed out before you even make an offer on a property. Find out, to the dollar, how much money you will have to work with, and use that as a starting point. If for nothing else, having a good grasp on your budget will narrow down the property candidates and subsequent investment strategies you intend to implement. Having your finances in order prior to making a real estate offer gives you a distinct advantage over the competition, or at least those that will require the assistance of a traditional lending institutions to close on a deal. Those investors that are fortunate enough to be able to offer cash at closing will have a distinct advantage over those that can’t. In addition to knowing their budget, they are much less of a risk to back out of a deal and can close faster than the average borrower. Do yourself a favor and have all your financing in order prior to going into a deal; you will be much more likely to propose an offer the seller is willing to accept. Remember, you can’t even make an offer until you know how much money you are working with. It should go without saying, but real estate is a people business. No transaction, for that matter, is possible without the cooperation of all the parties involved. It is in your best interest as an investor to establish a mutually beneficial relationship, as it will give you the best chance to purchase the property. The benefits of working with a seller are only compounded when you consider the alternative: working against them. If for nothing else, investors should be motivated to work with sellers for the simple fact that it is better than working against them. While far from a revolutionary concept, I am surprised at how few people actually approach a seller to work with. See to it that your pending real estate transaction is facilitated by a proper relationship, as opposed to a bad one. I can’t stress enough how important it is to remain diligent in your efforts to establish an open line of communication. That said, any attempt to develop a working rapport with a seller should not be reactive, but rather preemptive. Proactively seek the approval of those you are trying to buy from, as their opinion of you can go a long way in making your offer that much more attractive. Again, don’t wait for a seller to build a relationship with you; they have likely entertained multiple offers and have the information of others with the same intent as you. Instead, reach out to the seller and start building chemistry. In doing so, you give yourself two distinct advantages: a favorable sentiment with the person in control of your destiny and a window into what they are looking to get out of the impending deal. Once you have identified the priorities of the seller, you will have a better idea of how you should shape your offer. Only once you have gotten to know the seller on a more personal level can you presume to know what they truly want out of a deal. Making a proper real estate offer is more about striking a balance between the buyer and the seller than it is about landing the best deal possible. However, it is your job as a buyer making an offer to appease the seller, as they are the proverbial key for a respective deal. Without the seller on board, it’s safe to assume the deal will not go according to plan. Remember, you need to know how to write an offer letter that sells yourself as much as your services. That said, you will need to make an offer that is attractive enough in its own right to catch the attention of a seller, but still low enough to make the deal a viable investment opportunity. Making the best real estate offer has as much to do with pleasing the seller as it does with contributing to your bottom line. Both sides need to be happy for a transaction to proceed. But how can you make sure the seller accepts your offer while still maintaining attractive spreads? It’s an obstacle many face on a daily basis, but few actually know how to counter. First things first, making a real estate offer isn’t contingent on price alone. While price points are arguably the most important factor of a deal for both sides, there is one additional aspect that carries a significant amount of weight: the terms of the deal. It is entirely possible to make a real estate offer with attractive terms that can offset high asking prices. Some sellers may even consider the terms of a deal to be more important than the price point itself. The sooner you can find out what a seller wants out of a deal, the sooner you will be able to devise more attractive terms, and potentially lower the asking price. Instead of focusing solely on price, try manipulating the terms of a deal in the seller’s favor. If they need to get out of a home as quick as possible, tell them you are willing to close fast; offer cash and ignore the time-consuming process that has become synonymous with traditional lending institutions. If time is of the essence, do what you can to provide what the seller needs. Inspections, for example, do not require weeks to be carried out. It is entirely possible to have a home inspected somewhere in the neighborhood of five days. If your contingencies are dependent on several weeks, the seller may consider the time-frame to be inconvenient. One way to make your offer more attractive, while ensuring that you have enough time to get a proper inspection done, is to have an “as is” inspection contingency, says John Sullivan, vice president of Buyer’s Edge in Bethesda, Md. “An ‘as is’ inspection contingency lets the client find out the condition of the property and lets the seller know that the buyer will not ask for any repairs,” he says. Above all else, remember that price isn’t the only factor driving a seller’s decision. The terms of an impending real estate offer can tilt the odds in your favor, even if you don’t have the highest offer on the table. Find out what it is they want out of a deal, and use it to your advantage.